Thank you for all the Hazel love! The winner of the bundles are Nicole @ Curly Mommy (email me Nicole) and on Instagram it is (@crimsonhowitzer). Thank you, thank you, thank you, for all the lovely comments…it makes me so happy (and relieved!) to know that you like it. We have 10 new chicks! This one is my favorite with her fuzzy little head. They are sure cute…and also a lot of work. I love Chickens! I bought 5 in February!! One turned out to be a rooster so he will be dispatched. Total I will have 14 girls that are loved and spoiled!! Love your chicks!! 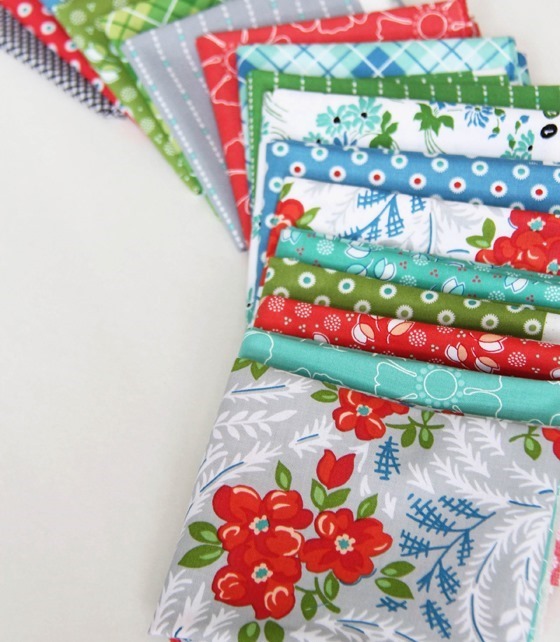 I have always loved your blog especially because it is Cluck Cluck Sew!! 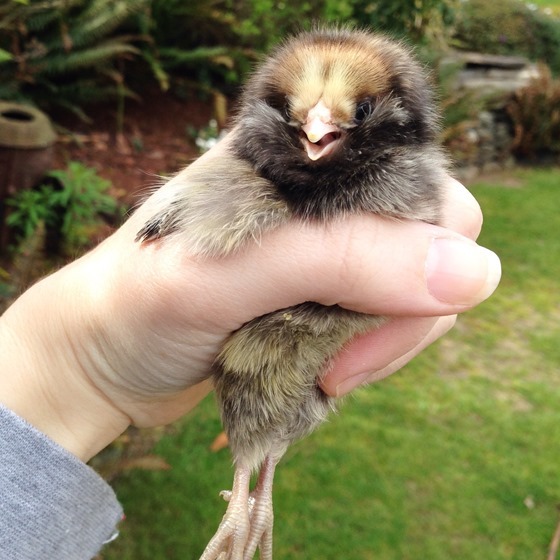 The chick is very cute! It sure means spring must finally be here! The fabrics say spring to me too. I finally got to sew today with the windows open! Yeah!! Booooo I didn't win! Congrats to the winner! I love 1930s fabrics, and your happy, cheerful new fabric line would be a great addition. Congrats!! I would think those chicken would be work – but this one sure is a cutie. Growing up I really loved having baby chicks and chicken in our house. They are so precious little things. Your hazel fabrics are so beautiful. Love the colors and the prints! What a sweet little baby !